BufordTJustice, boatswain, Titan II and 2 others like this. 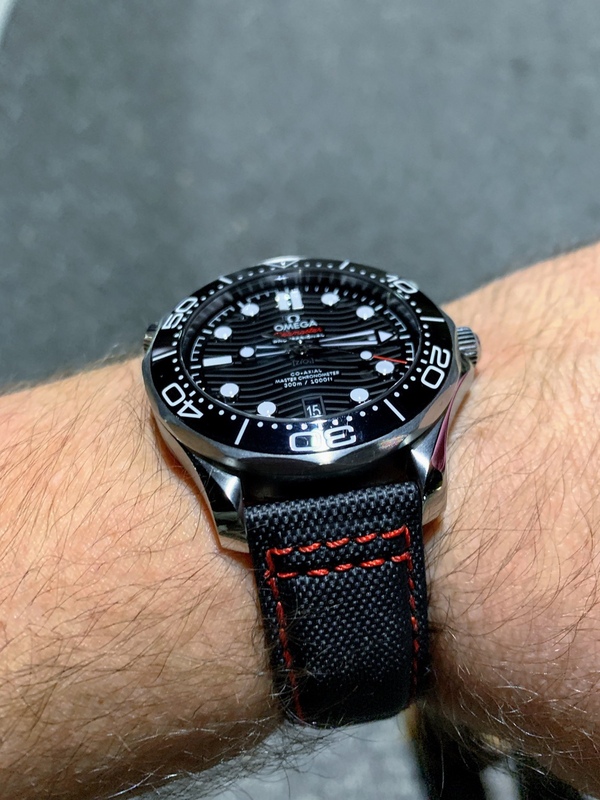 I absolutely agree, the 42mm size worried me but those end links drop straight down making it wear smaller-if anyone has doubts, try one on at an AD but realise that you'll probably end up buying it! I honestly forget mine is on half the time. 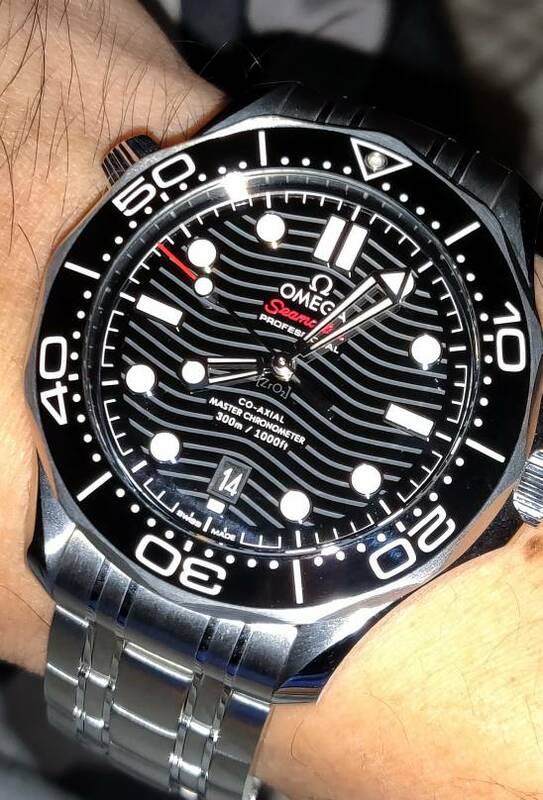 I love the interplay of light, wave pattern, ceramic, and dial color. 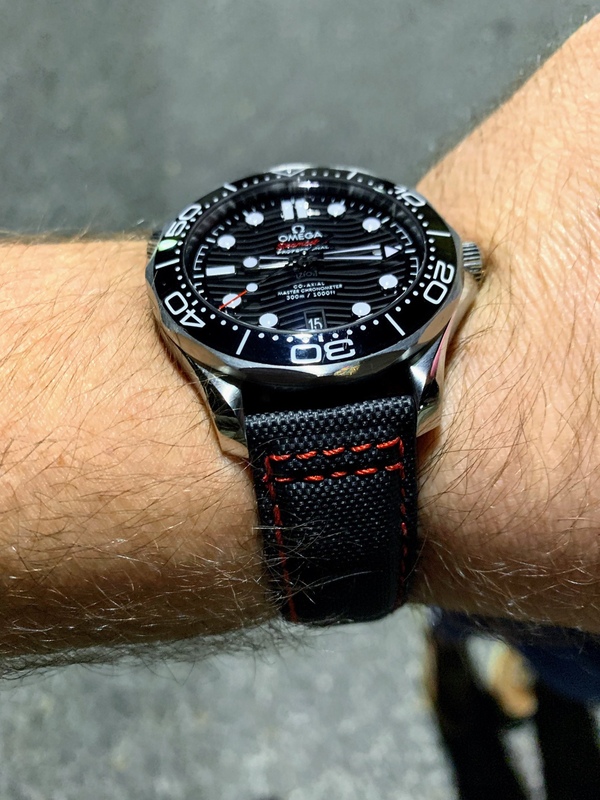 It's the best watch I have ever owned, giving my Aqua Terra a run for it's money! Last edited by JoeC; February 15th, 2019 at 17:34.
boatswain, BufordTJustice, Pietros and 2 others like this. Yes, definitely wears smaller. I'm a lefty, so was worried a bit about the HEV digging into my wrist but in practice it's barely noticeable. 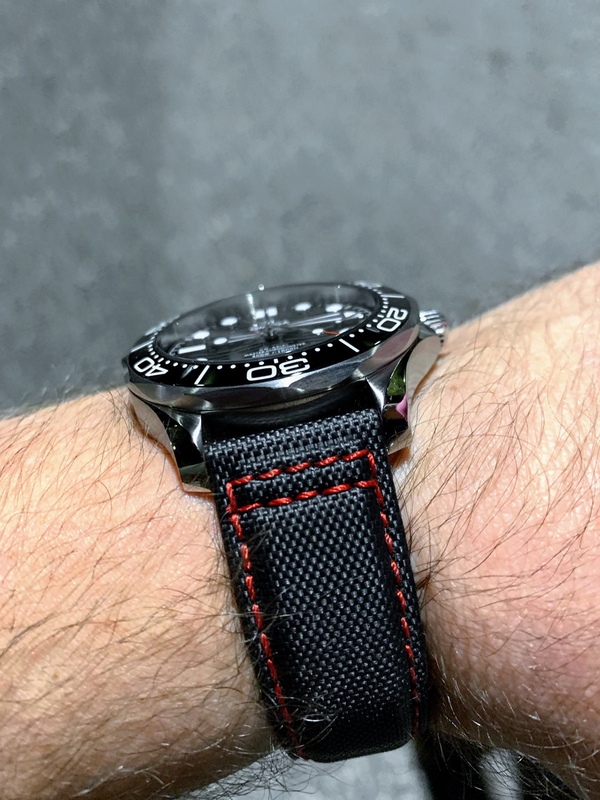 Overall quality from dial to bracelet is beyond reproach and I strongly prefer this new bezel arrangement -- they've struck a nice balance between weight and slip, it's a very reassuring haptic feel, and a whole lot of fun to twiddle with. I do think this watch needs to be worn to make sense. Last edited by Kirkawall; February 15th, 2019 at 19:36. The end links and the granular adjustment of the bracelet really make fit an exercise in perfection for this watch. 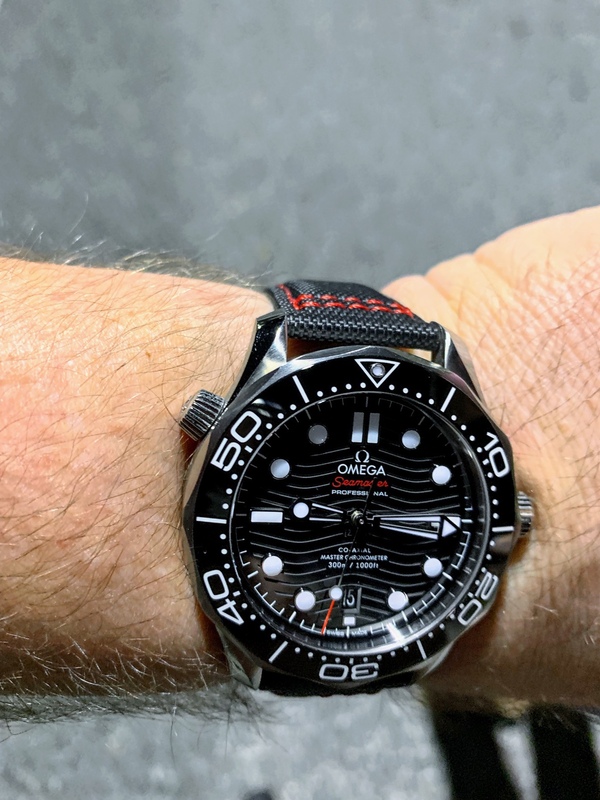 I don't see why this clasp doesn't get deployed across the entire Seamaster and Speedmaster line; it's that good. I've done that. Really, honestly, forgotten that it was on my wrist. Yes, definitely wears smaller. I'm a lefty, so was worried a bit about the HEV digging into my wrist but in practice it's barely noticeable. Overall quality are beyond reproach and I strongly prefer this new bezel arrangement -- they've struck a nice balance between weight and slip, it's a very reassuring haptic feel, and a whole lot of fun to twiddle with. I do think this watch needs to be worn to make sense. 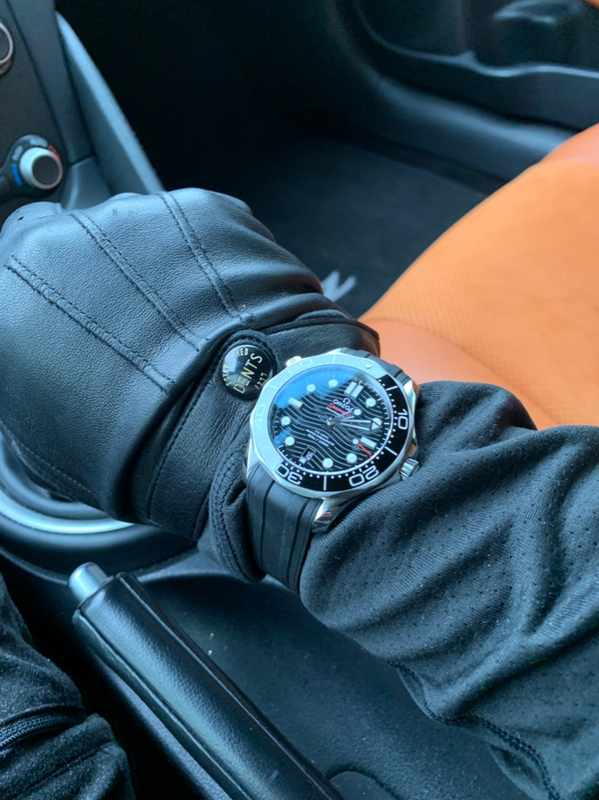 The bezel has moved up several notches (to coin a phrase) in tactile feel and quality even from the previous generation SMPc, which was no slouch. When next to a 2254, the strong familial DNA of the line is evident. They're siblings. It's obvious. 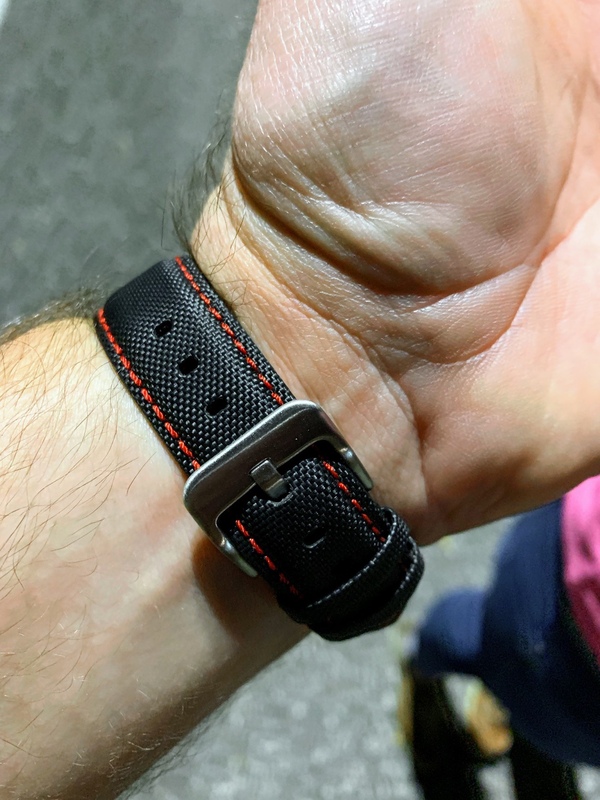 And even though the SMPmc is taller/thicker (and larger in diameter by less than a full mm), the superior clasp and bracelet really bring parity between them in terms of apparent size on-wrist. Which is high praise indeed as the early SMP was just as easy to slide under a dress cuff as it was to play in the dirt or water. Kirkawall and Pietros like this. Time & Tide real sail cloth strap (20mm). Black with red deviated stitch. Real woven nylon. Not embossed vinyl. Shipped to the US for under $70! Brushed stainless buckle included. Last edited by BufordTJustice; February 16th, 2019 at 18:20. Cybotron, boatswain, achilles and 3 others like this. BufordTJustice, boatswain, Ben.McDonald7 and 2 others like this. It's a great looking watch. It's definitely in my list. I have a PO 2500D. 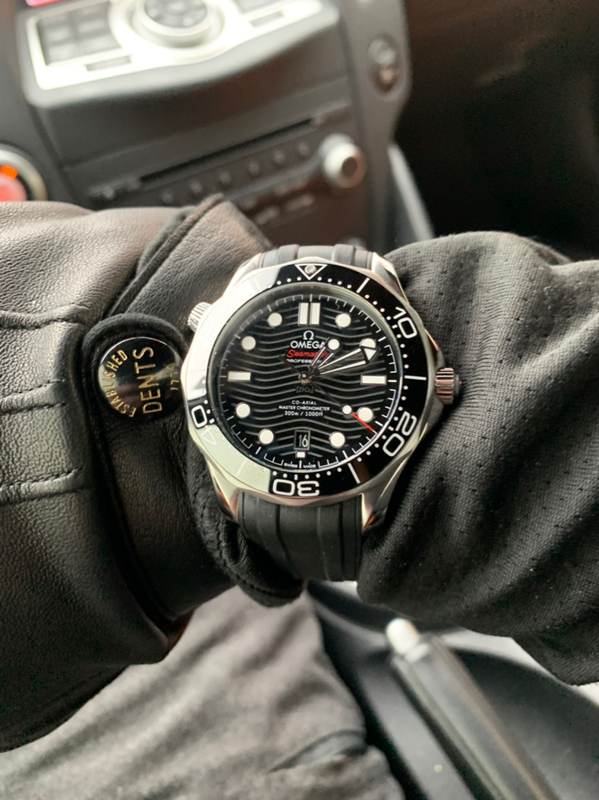 Can't wait to add the Seamaster to the team! Wow, that looks great, the black & red work perfectly with the dial.